A cabochon is a stone that is cut with a highly polished rounded or convex top with no faceting, with a flat or slightly domed base. A cabochon may be cut in any shape, though oval is by far the most common. The term comes from the French caboche, meaning knob or small dome. Usually I cut my cabochons in a free-form . I make cabochons from a variety of rocks that we have collected in Colorado and Wyoming. Quartz cabochon mounted on a piece of copper. The rough quartz was found in Salt Cabin Flats, west of Fort Collins Colorado. 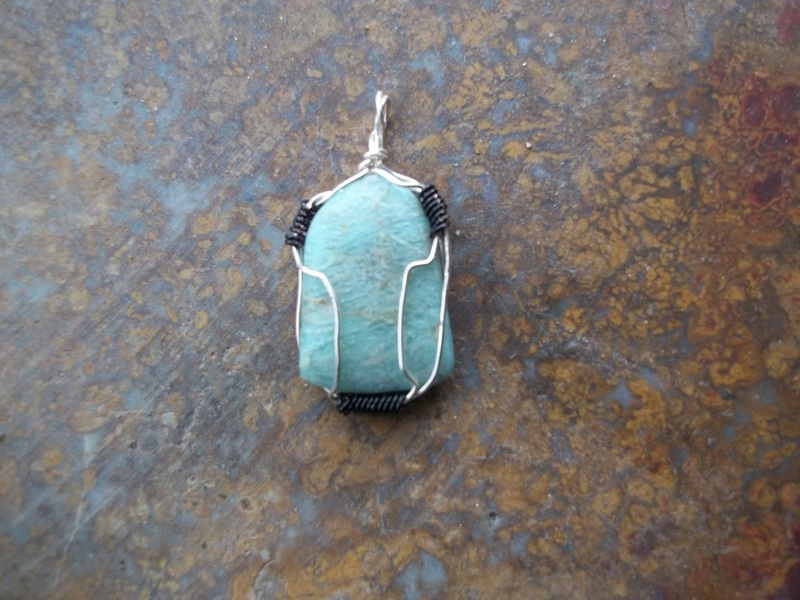 Amazonite Cabochon mounted on Silver. I found the amazonite in the Lake George area west of Colorado Springs Colorado. The silver is from a silver spoon I found in Skin Gulch.